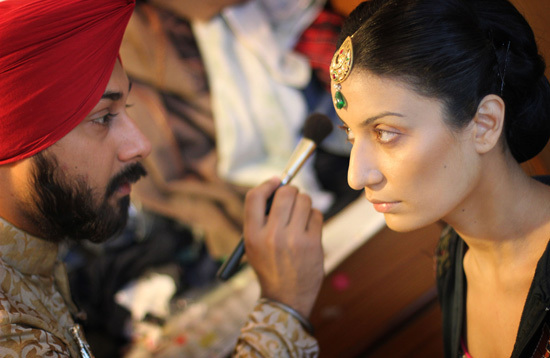 We have Guru, make-up artist from Delhi, on board today wherein he shares his journey, inspirations and what keeps him going while painting each face and making brides happy and gorgeous. Makeup and Guru have a long relationship. As a kid also, he always loved how colors made difference on faces and changed the mood. Let’s explore more about him, his passion, inspirations, make-up tips and much more. My actual love started with makeup when I was in college & studied Fashion. As a part of Fashion Community of the college; I was in-charge of Makeup and Hair. 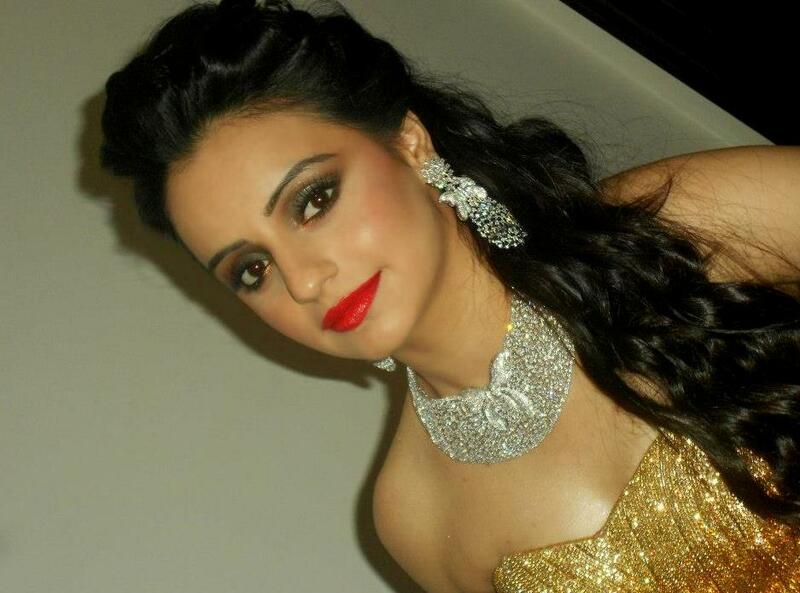 Soon after my college I got opportunity to work with Brand “MAKEUP FOR EVER” as makeup artist. Later I started freelancing and did Miss India 2009, Lakme Fashion Week etc. Being a part of MAC for 4 years, which gave me the platform to explore my make-up skills; I covered fashion weeks, trend presentations, Award Shows & Film Festivals. Today it has been more than 5 years doing makeup everyday on different faces. It’s the feeling of making someone look more beautiful, this itself is an inspirational love for makeup. The Legend of Makeup – Mickey Contractor. I worked with him while working with MAC and since then he has been the strongest pillar of my strength and I love working with him. He is a magician in his art. I also look up to Alex Box, she is artistry personified. One can get inspired just by looking at her work. Fashion is where you explore your idea with no boundaries and can be over the top to to go with theme and story behind it. 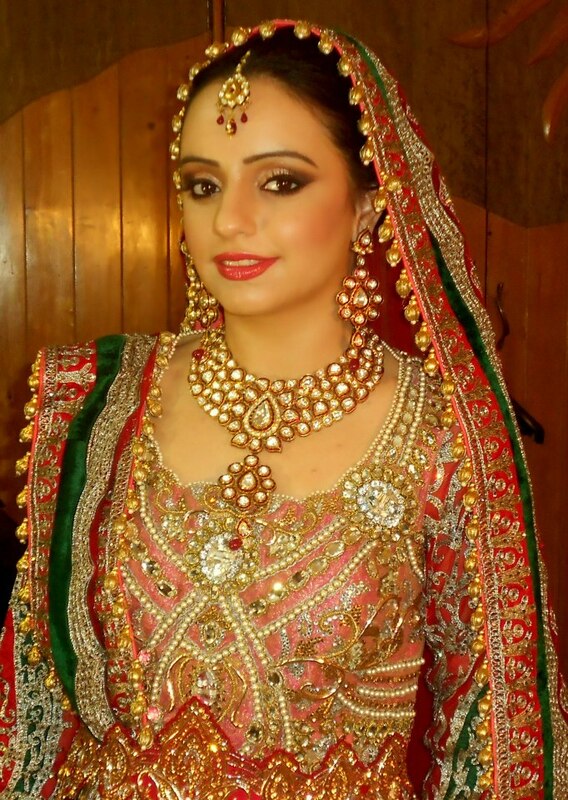 Whereas bridal is restricted and one can’t really experiment, it remains traditional. 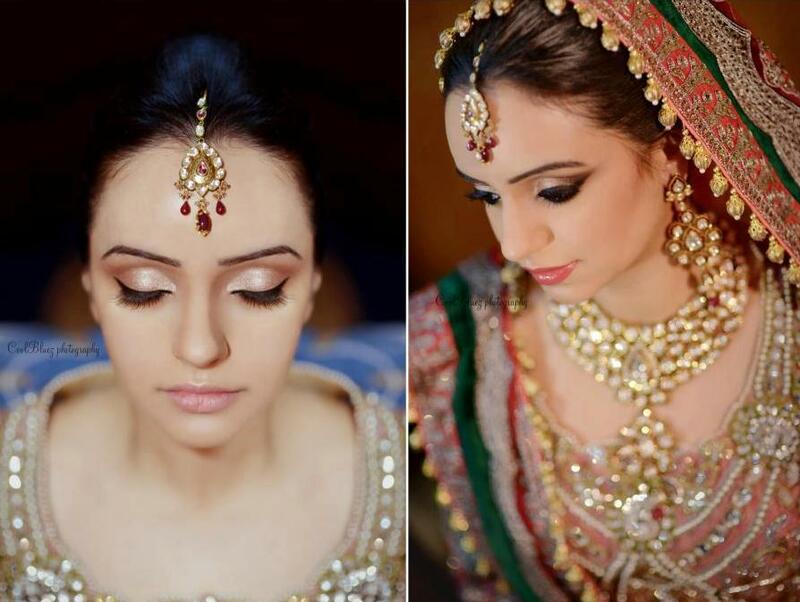 Bridal is full of emotions and when you make them look gorgeous, they love you back and it gets going; the inspiration. Being a freelancer I am free to use anything & everything. I use mix of all brands whatever works best and for long duration. Especially For weddings, I love using HD makeup as it stays quite longer, gives you amazing coverage and makes your skin look flawless. Keep your makeup very neat and clean. You can play with matching colors but avoid going over the top with them. My style of makeup is that less is more, don’t paint the face, just accentuate features. You don’t have to match your eye makeup or lips with your outfit; you can keep the makeup neutral as well and it is classy & glamorous. Same applies for your hair keep then neat n clean, try not to use 100 pins and avoid hard hair spray. Usually I use makeup fixer which keeps the makeup intact, but there are some chances when skin start looking oily because of the excess heat. I advise my brides to use a dry tissue to bolt the shine from your face. If in case the Lipstick starts going off, keep the same shade with you so that you can touch up later whenever required. 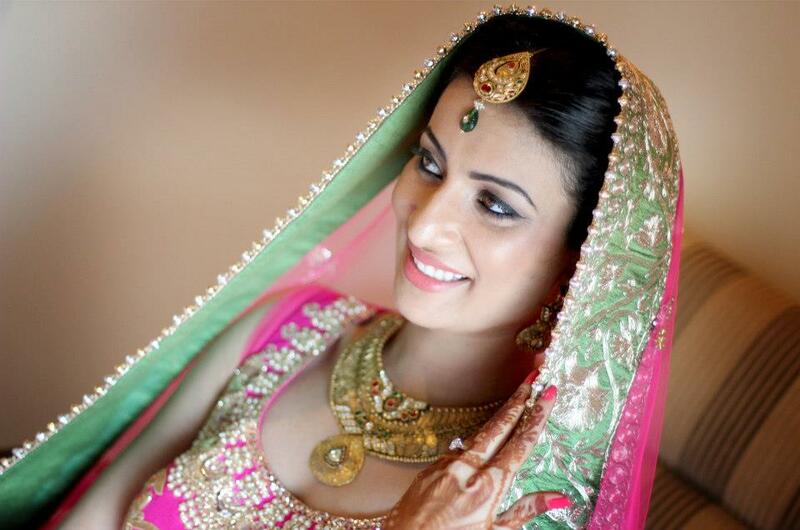 As far as booking is concerned, bride should call at least a month in advance. 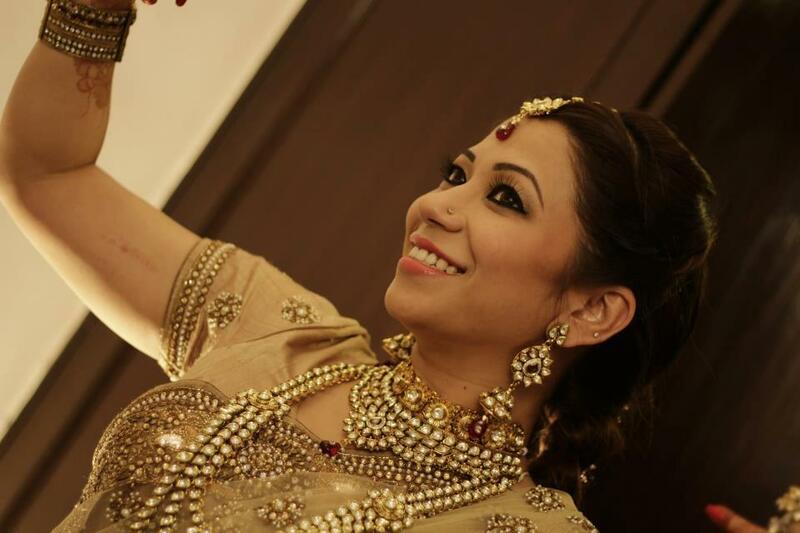 I provide my services on first come and first serve basis, there are brides who have booked me 7-8 months well in advance as well. In awe of his art, know more about him and like his page on facebook or visit his website.